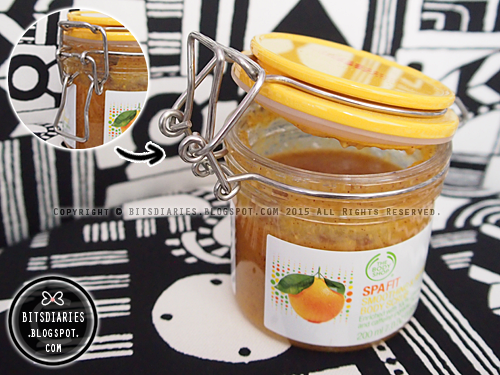 The scrub is stored in a plastic jar with an air-tight seal. Both the lid and lock are really tight fitting which I believe help to preserve the product's freshness and retain its aroma. 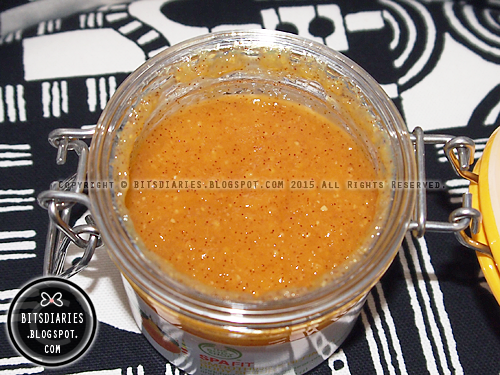 NOTE: To maximum freshness of this natural body scrub, do not get water into the jar! I recommend to scoop the required amount that you need into a separate container like what I did, as shown in the following picture. 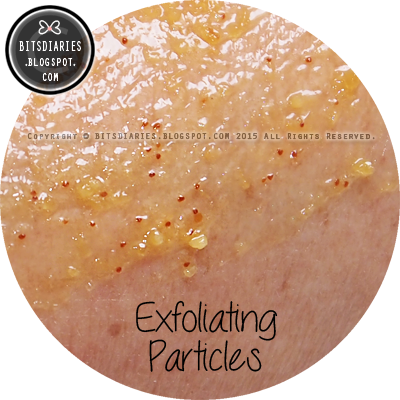 It contains gazillions of scrubbing particles (a mixture of soft fruits pulp and caffeine granules), which gently and effectively buff away dull-looking dead skin cells. Directions/Usage: Massage into damp skin in a circular motion, then rinse thoroughly. Use two to three times a week. For best results, use with other products in the Spa Fit range as part of a regime. Note: The arm featured in the following pictures belongs to my mom as I need to take the pictures. 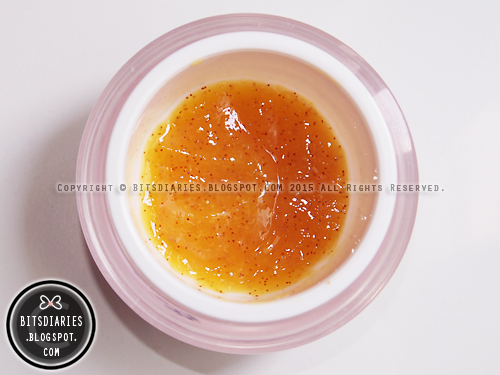 The scrub paste has a sticky texture like honey, but it's not thick, runny or greasy. Once water is added, it becomes creamy in consistency and can be easily rinsed off with water. My mom used the scrub on her right arm. 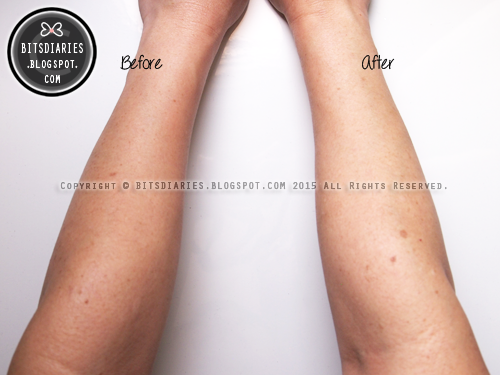 Apparently, the complexion of her right arm (after) appeared significantly brighter and healthier-looking than her left arm (before). 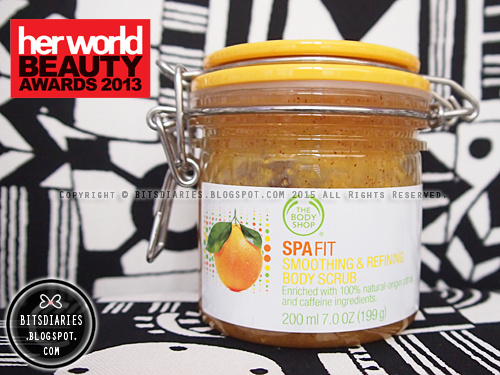 I have to say The Body Shop Spa Fit Smoothing & Refining Body Scrub is totally invigorating and relaxing! Every time I use it, I step out of the bath feeling instantly pampered and rejuvenated! 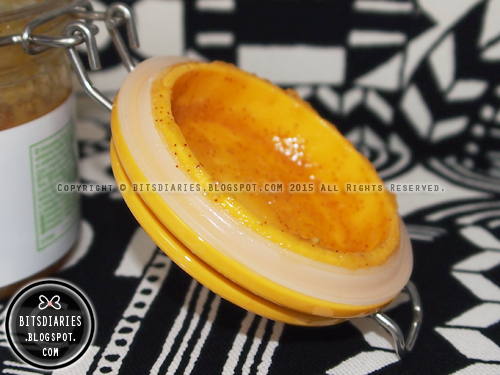 With this body scrub, now I can bid good-bye to dull skin complexion and welcome brighter, healthy-looking skin! Not only it brightens up the skin complexion, I can also feel my skin is softer and smoother to the touch! Having problems with dull skin complexion and dark patches on your body (especially knees, elbows and underarms)? Try this! Feel and see the difference for yourself! Get yours now at any The Body Shop outlet, retailing at SGD$42.90. Note: Don't forget to use a body lotion/moisturizer after you exfoliate! Well, just like you'd never exfoliate your face without moisturizing after. It is important to treat your freshly scrubbed skin to a dose of much-needed hydration!